For me, undoubtedly most comfortable evening home wear has always been the down to earth ‘Lungi’. It is extremely comfortable and is an all season wear. It is unisex – wearable by both men and women. It is easy to wear without any hassles of zips, buttons or laces. One got to just tie at the waist. Tying a Lungi at the waist is surely not any rocket science, but to ensure that it remains there is surely an art by itself. Lungi surely provides free movement for the lower limbs and also air circulation, especially ideal for the hot and humid climate of Kerala. A Lungi is a cotton sheet about 2 meter in length and over a meter in breadth and is characterised by its floral or window-curtain patterns. By design, surely one-size-fits-all, both males and females and surely does not have any caste creed or religion. The only variation is that Muslims of Kerala wear it right to left, whereas others wear it left to right. It is very difficult for a normal eye to make out this subtle difference. 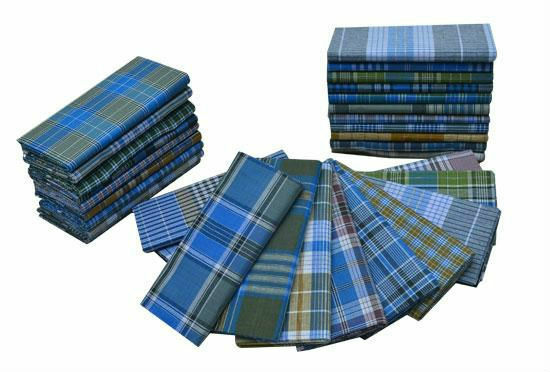 Lungi is worn in India, Sri Lanka, Bangladesh, Pakistan, Nepal, Cambodia, Ethiopia, Myanmar and Thailand. ‘Mundu’ is its white cousin and is worn mostly outdoors in Kerala- to church, family functions and even to office. Once on my trip home on vacation from Sikkim, I called on Colonel Baby Mathew who was commanding an Artillery Regiment located near the airport from where I was to board the flight home. On reaching the main gate of his regiment, the sentry on guard saluted me smartly and said “Our CO (Commanding Officer) is waiting at his residence for your arrival” and he then gave directions to the driver about the route. On entering Colonel Mathew’s residence I heard his voice saying “Head straight to my bedroom.” There was Colonel Mathew, sitting on his bed, adorned in his favourite Lungi. He ordered me to change into my Lungi and join him for a hot lunch of Kappa (Kasava or Tapioca) and fish curry – a Kerala Christian favourite. While partaking the meal, Colonel Mathew said “I have placed my residence out of bounds for all ranks for the next 24 hours” – meaning no one to come near his house until I was there. Obviously the Commanding Officer did not want his command to see him and his friend in their Lungi. In June 2002, I took over command of our Regiment in its operational location on the India-Pakistan border in Rajasthan. The Regiment was mobilised from its peace location in Devlali (Maharashtra, near Mumbai) on that year’s New Year Eve. The entire Indian Army had moved into their operational locations after the attack on the Indian Parliament building by terrorists believed to have come in from Pakistan. The Indian Railways ensured that our Regiment, like all the other units of the Indian Army, were transported to their operational locations at super-high priority in two days. The Military Special trains moved at speeds greater than that of many express trains and were accorded the highest priority. The move back to Devlali from Rajasthan was the opposite. An Army which did not even fire a single bullet, an army which did not fight a war surely had no priorities in anyone’s mind. The Military Special trains stopped at every possible station, even to give way to the goods trains. Now we were the lowest priority in the eyes of the Indian Railways. The onward move executed in less than two days now was sure to take a week. On the day of our train’s move from Jodhpur (Rajasthan), the soldiers loaded all the vehicles and equipment on the train. After accomplishing the task, the Subedar Major (Master Warrant Officer) Thangaswamy had a roll-call to ensure everyone was present and also to brief the soldiers about the return journey. As I looked out of my railway coach’s window, I saw the entire regiment standing. I had a brain wave – “Why carry all the soldiers on the train? About a hundred of them is all what I require, mainly to ensure the security and safety of the train and the equipment. Why not the rest of the soldiers be send on leave as many had not met their families for a prolonged time due to the operational commitments? Also, less of a trouble for the chefs to cook meals on a running train and less of administrative issues.” I stepped out of my coach wearing my Lungi and a shirt and ordered Subedar Major Thangaswamy to only keep about a hundred soldiers and disperse the rest on leave for a week to rejoin at Devlali. Everyone’s face suddenly brightened up but with that I was christened “Lungi CO”. After moving to Canada, on a warm and sunny summer morning, I was watering the garden wearing my all time favourite Lungi. There appeared our neighbour, Mr Win of Chinese descent and on seeing me wearing a colourful and comfortable costume enquired “Reji, what skirt are you wearing- looks really colourful.” -That was it! I discarded my favourite Lungi forever. Lungi: Simplicity is the hall mark of Great Living! It is the best dress in bedrooms. While travelling to Vancouver by train ( Via Rail) I was wearing the Lungi & the entire passengers looked at me as some one from another planet. Malasians use the colorful lungies outside the home. Lungi had been my favourite night dress all along my life and still remains. However I had to change the pattern and design from the earlier flower printed ones to dark checked ones. At present the fashion is narrow checks on white background. I do remember in the early eightees on our way to Kerala during term breaks getting down at Erode station to pick up a couple for father and siblings..
Great article, Reji. My favourite lungi. Keep it coming. Nice read. Enjoyed a lot.